This large powder room (it has a shower!) in a new home in the Houston Heights originally had all-white walls (like the rest of the house). 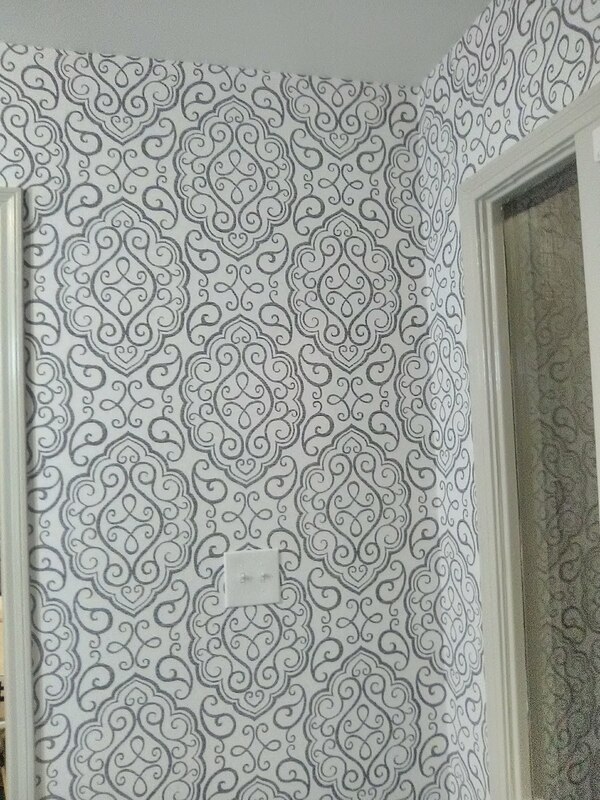 Interior designer Stacie Cokinos suggested wallpaper to warm the room and add personality. The homeowner had never used wallpaper before and was skeptical, but she tentatively agreed. What a wonderful choice this turned out to be! The wallpaper defines the space and transforms it from timid to bold. But, because the color palette is limited, the feeling is not chaotic. 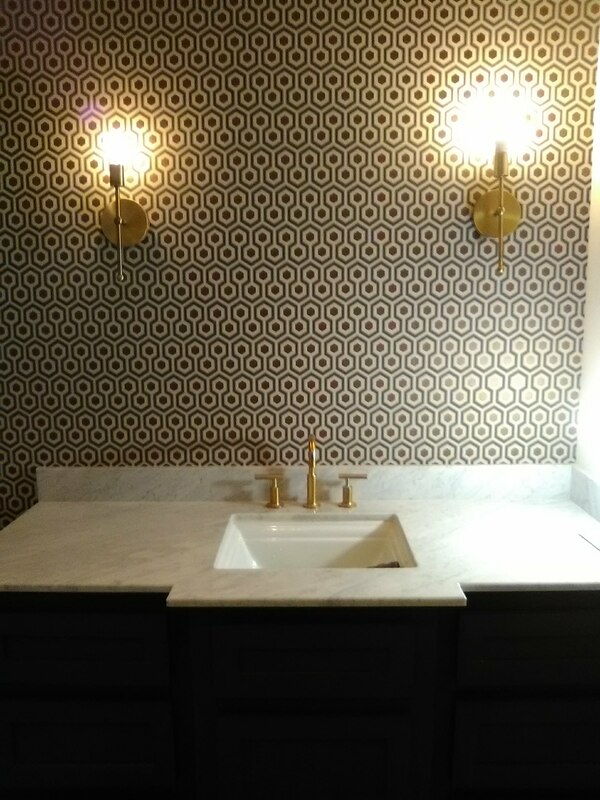 The color coordinates beautifully with the dark brass wall sconces. Previously, the white woodwork blended in with the white walls. 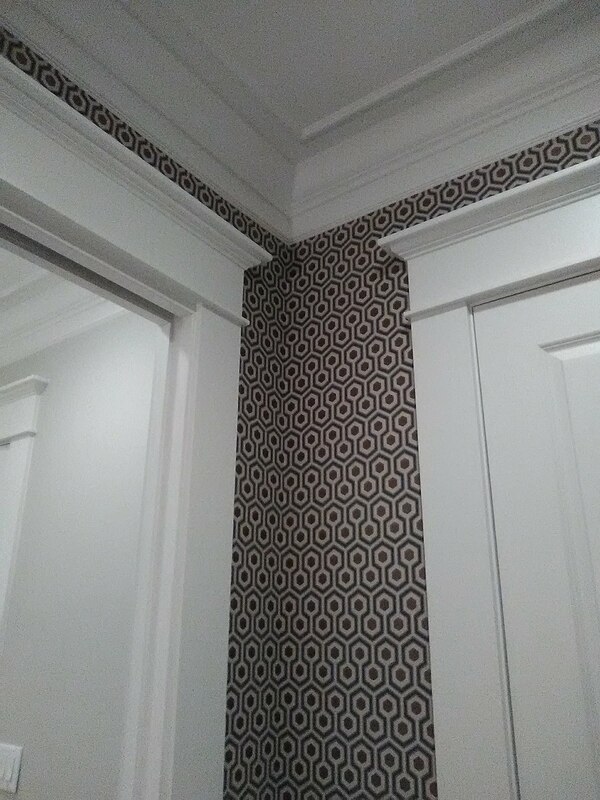 But now the dark color of the wallpaper makes the beautiful door moldings stand out. This is a popular pattern, and I’ve hung it, or variations of it, a number of times. 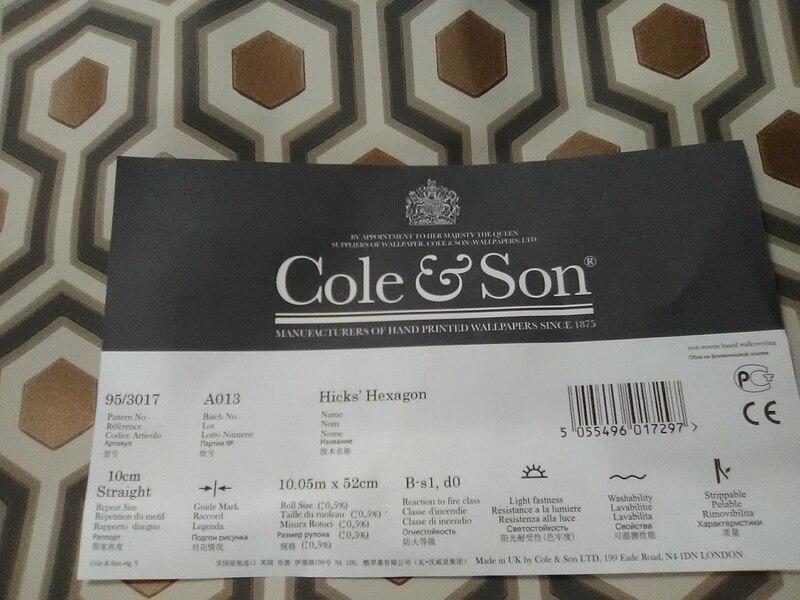 The design is by David Hicks and is made by Cole & Son, a British company. It’s a non-woven material, and is meant to be applied by the paste-the-wall method, but I had better results with pasting the paper. The interior designer is Stacie Cokinos, of Cokinos Design. She works primarily on new builds, and mostly in the Heights neighborhoods. Her look is spacious, clean, and crisp, with a little fun tossed into the mix. This beautifully updated 1971 Tudor-style ranch-style home in the Briarpark area of Houston was pretty much white and grey, from outside throughout the inside. The homeowner wanted some warmth and life, and some personality for the interior. 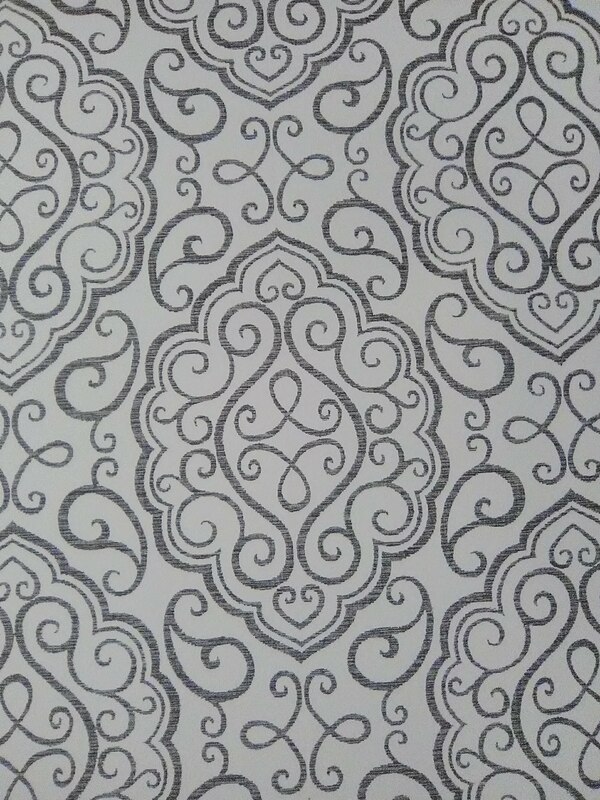 This scratchy black on white pattern does all of that. It is a combination of geometric, trellis, and medallion, and it has a strong vertical influence, too. 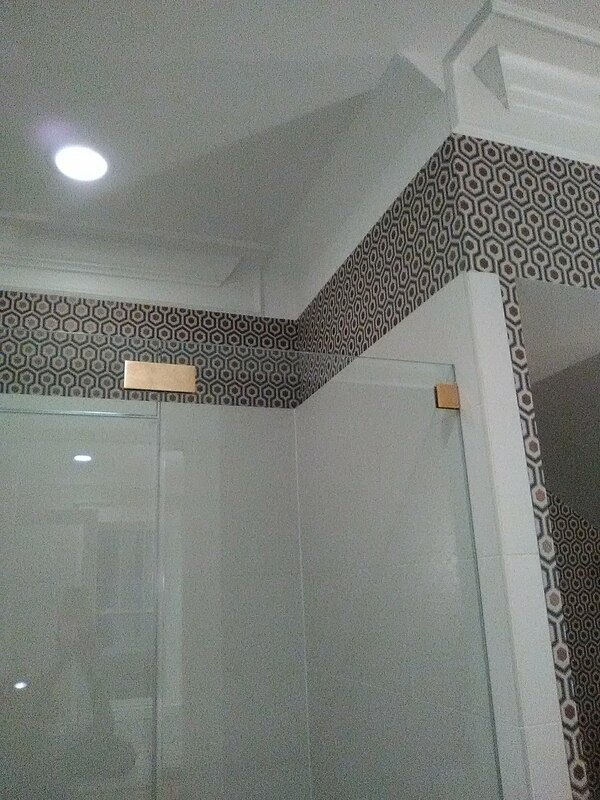 Notice how the design motif has been centered on the two walls pictured. 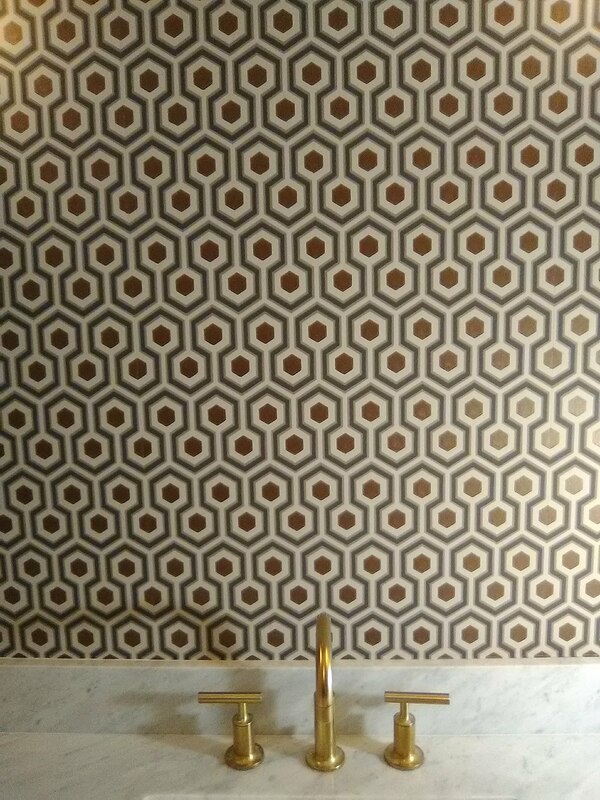 This wallpaper is from A Street Prints, by Brewster. 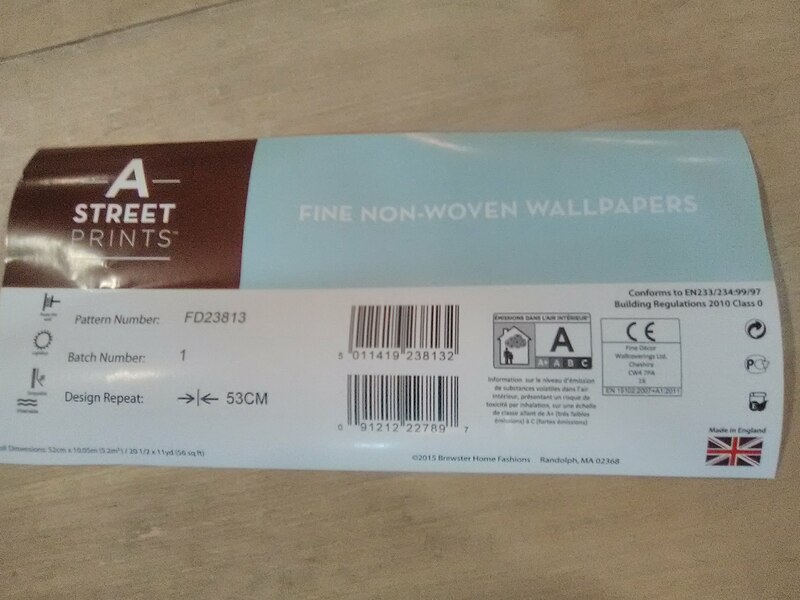 It is a non-woven material and is intended to be a paste-the-wall installation. But I had better results by pasting-the-paper. 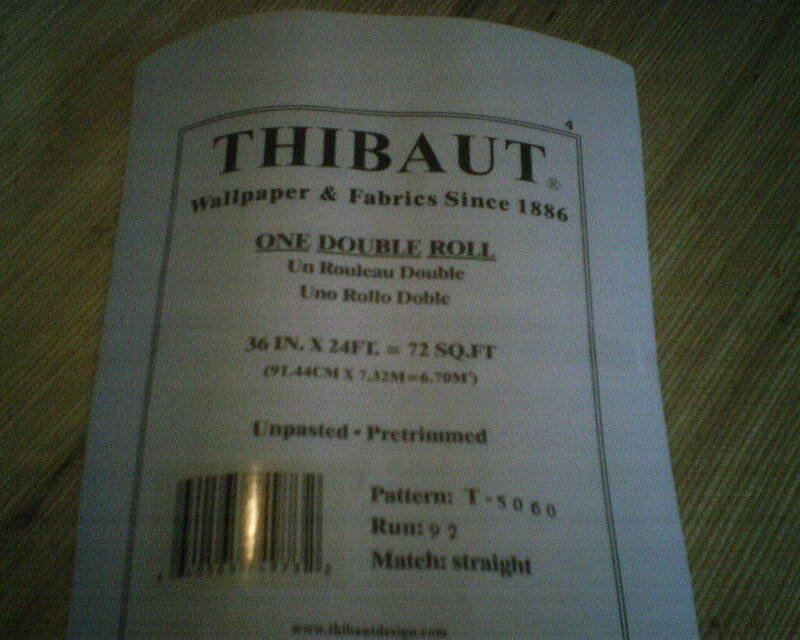 The paper was bought at below retail price from Dorota Hartwig at Southwestern Paint on Bissonnet near Kirby. (713) 520-6262 or dorotasouthwestern@hotmail.com. She is great at helping you find just the perfect paper! Discuss your project and make an appointment before heading over to see her. I love it when homeowner say this! Because I have been crusading against all-white houses for years. While the all-white concept looks good in magazines, in real life, with real families in real homes, the look can be coldly stark and anonymous. See Photo 1. This client realized she craved more warmth and personality. Her choice was grasscloth. In Photo 2, see how just a light, neutral color defines the room, and makes the beautiful woodwork stand out. 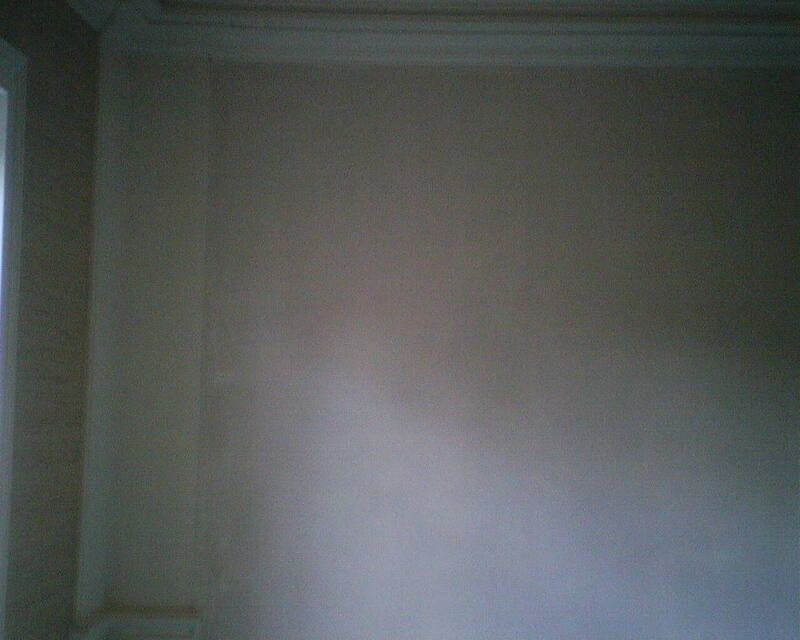 (In the ‘before’ photo, you could not even see the woodwork.) 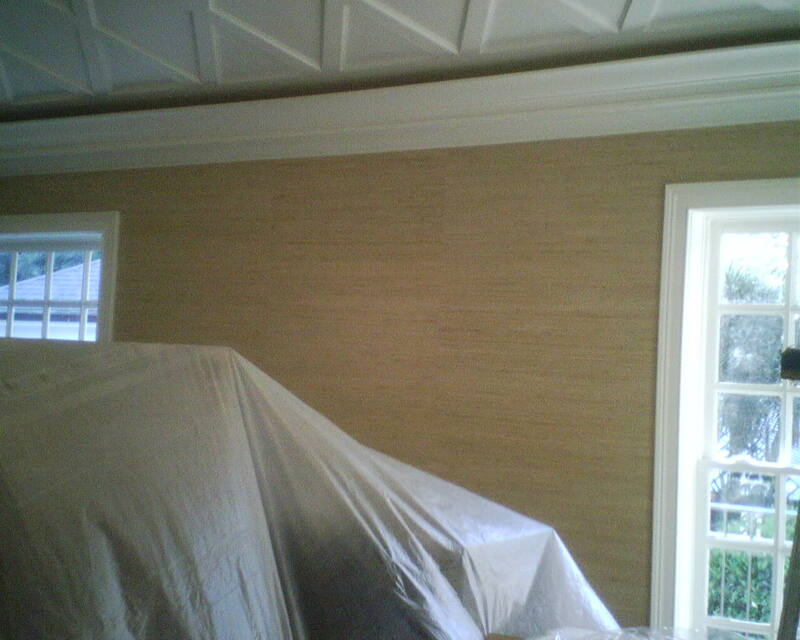 Further, the nubby texture of the grasscloth adds warmth, while it ‘snugs up’ this large master bedroom. 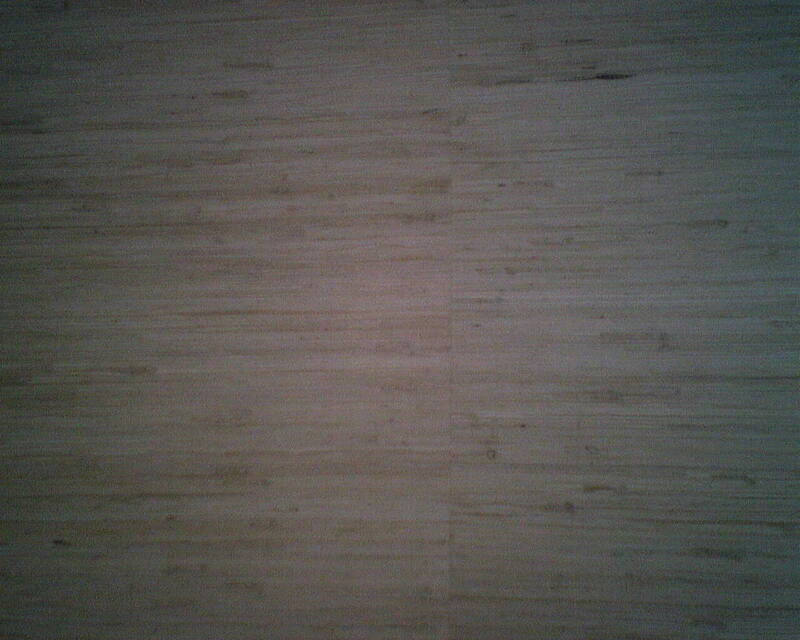 See a close-up of the texture in Photo 3. Photo 3 also shows a seam. It’s important to understand that grasscloth has no pattern to be matched, and that all the seams will show as a ‘mismatch.’ There can also be color differences between strips. 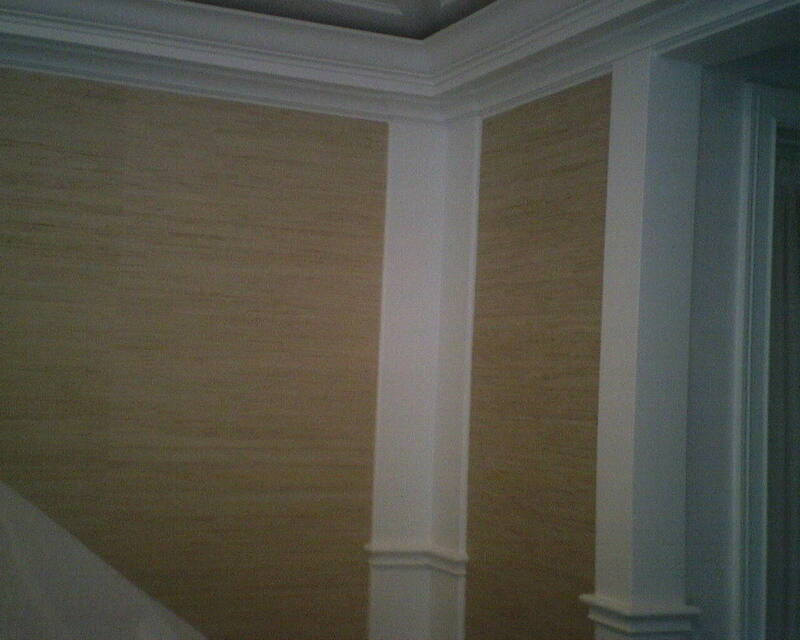 Happily, this product had very little of the shading and paneling and color variations that can occur with grasscloth. 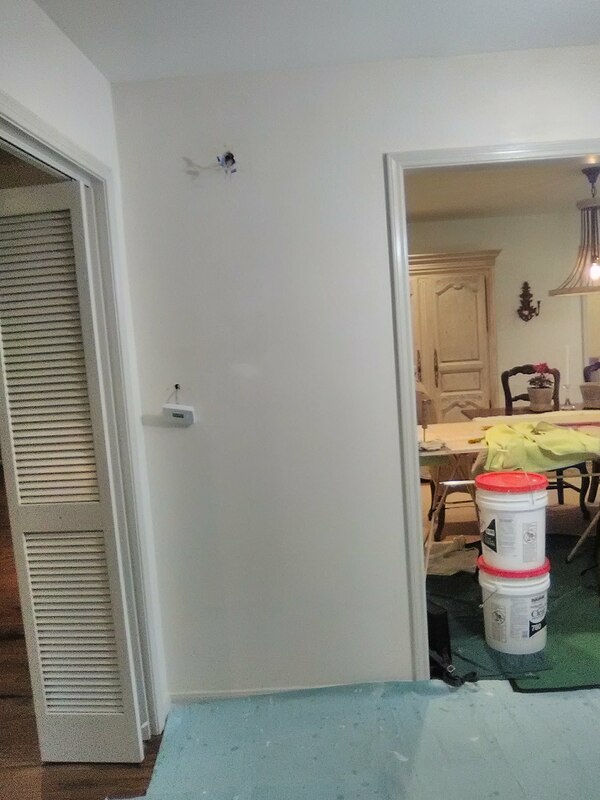 Because all the seams will show, the room looks better when the walls are ‘balanced.’ This means trimming all the strips so they are equally wide for each wall they will sit on. See an example of this in Photo 4. This is called ‘engineering,’ and it takes a lot of time, math, calculating, measuring, and trimming. But the balanced, more sophisticated finished look is worth it. This homeowner noticed the even widths of the panels right away, and was appreciative of the effort I had taken. This grasscloth product is by Thibaut Designs, pattern #5060. The Run # is 92 – which is pretty high, and it tells you that a whole lot of people have loved this particular color and material. 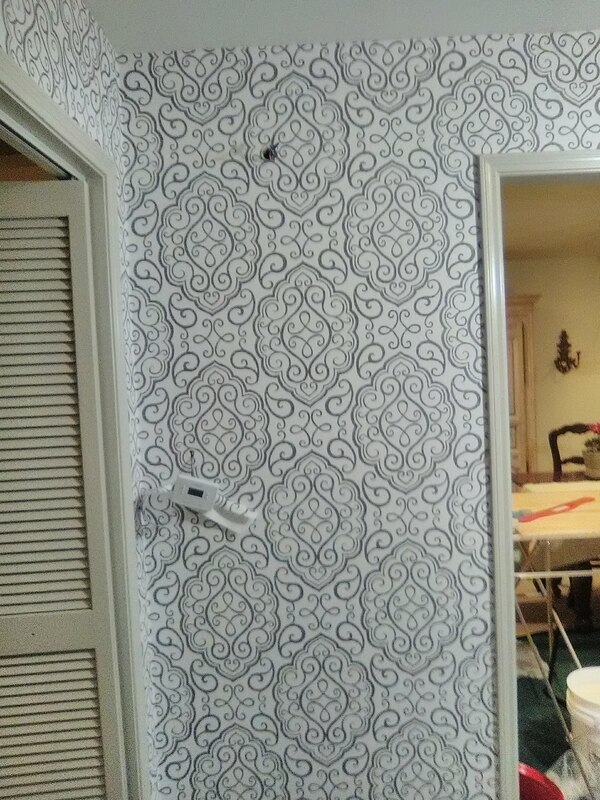 This wallpaper pattern was bought at below retail price from Dorota Hartwig at Southwestern Paint on Bissonnet near Kirby. (713) 520-6262 or dorotasouthwestern@hotmail.com. She is great at helping you find just the perfect paper! Discuss your project and make an appointment before heading over to see her.